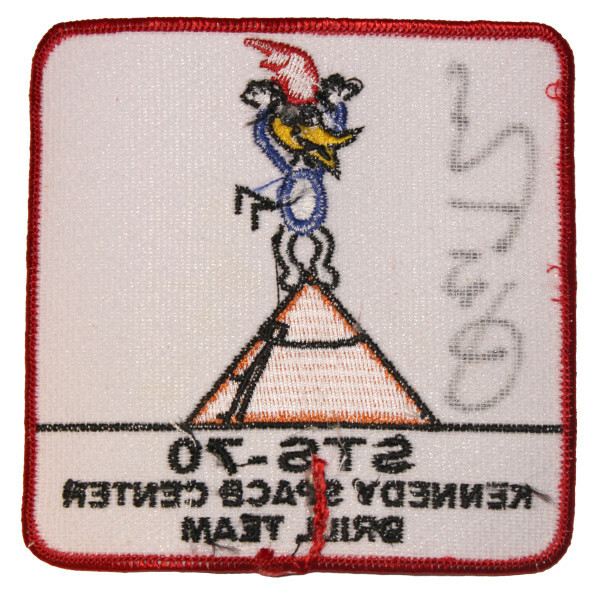 The mission patch was produced by astronaut Don Thomas to mark his eventful STS-70 Space Shuttle Discovery mission. 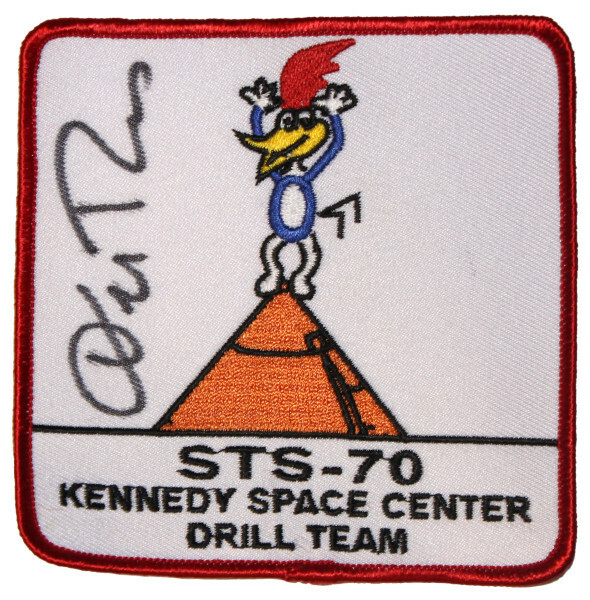 The patch depicts cartoon character Woody Woodpecker on top of a Shuttle External Tank. The mission became known as 'The Woodpecker Shuttle Flight' due to the fact that the mission was postponed after a northern flicker woodpecker damaged the External Tank while it stood on Pad 39B during countdown. The bird pecked over 70 holes in the tank’s foam insulation, which is a critical part of its thermal protection system during launch and re-entry. 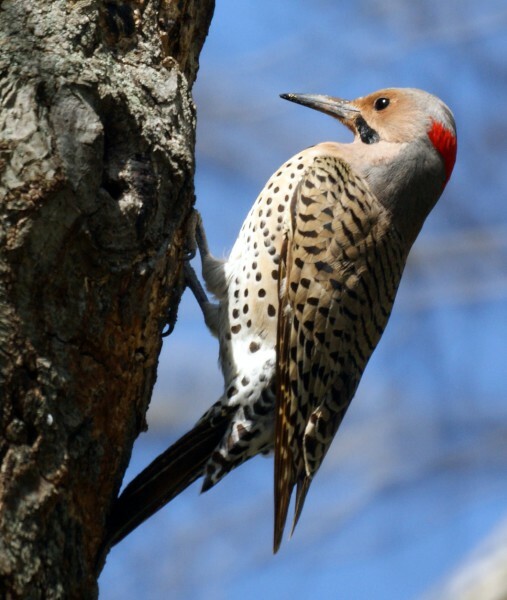 Northern flicker woodpeckers normally build their nests in soft wood palm trees, so the soft insulation on the outside of the tank seemed the ideal habitat, until it pecked through to the hard-aluminium layer underneath. Once this happened the persistent bird moved to another area and tried again. The damage was too much to repair on the pad so the Shuttle stack had to be returned to the Vehicle Assembly Building and a new launch date was set.